Barcelona, 1 June 2017 – MANGO proposes experiencing the musical event of the year in a different way.Yesterday, the brand opened its MANGO House space at Primavera Sound with an event attended by collaborators and friends, including Alma Jodorowsky, Daria Malygina, Steffy Argelich, Sophie Auster, Blanca Miró and Miguel Carrizo, among others.They all enjoyed a Californian-style BBQ accompanied by a session by the DJ Miqui Puig. 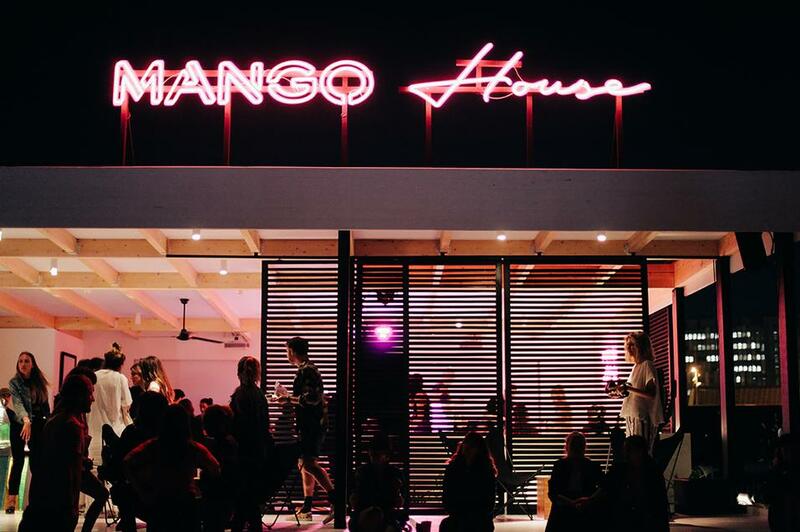 MANGO House is combining fashion and musical history in the same space.Its modern architecture and the use of wood give the installation a relaxed atmosphere, in the style of a recording studio.To recreate this cosy atmosphere, selected items of furniture and simple lines were used. The house brings together a series of experience-themed actions and will be open to the public at Primavera Sound.Those attending will be able to enjoy a trip to deserted beaches thanks to virtual reality, select the music for the space, play Arcade machines,pinball or table tennis and photograph themselves in a photo booth.If they wish, they can share these moments on social media via free Wi-Fi access throughout the installation.In MANGO House there will also be a place to relax, either in the different areas of the house or in the hammocks in the garden zone.What is more, Nikki Lane, Weyes Blood and Núria Graham will offer acoustic concerts during the three days of the festival.